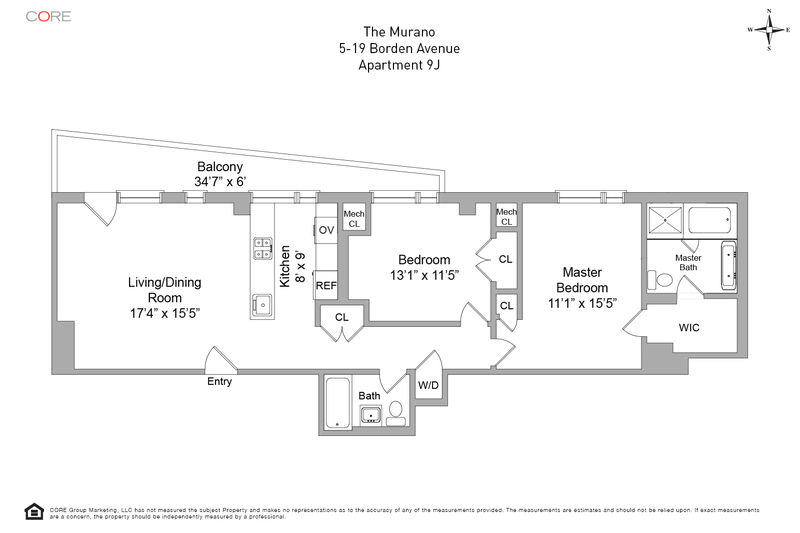 This highly sought after north-facing 2-bedroom, 2-bath line in the Murano Condominium comes with a parking space and features stunning views of Manhattan and the Queensboro Bridge. 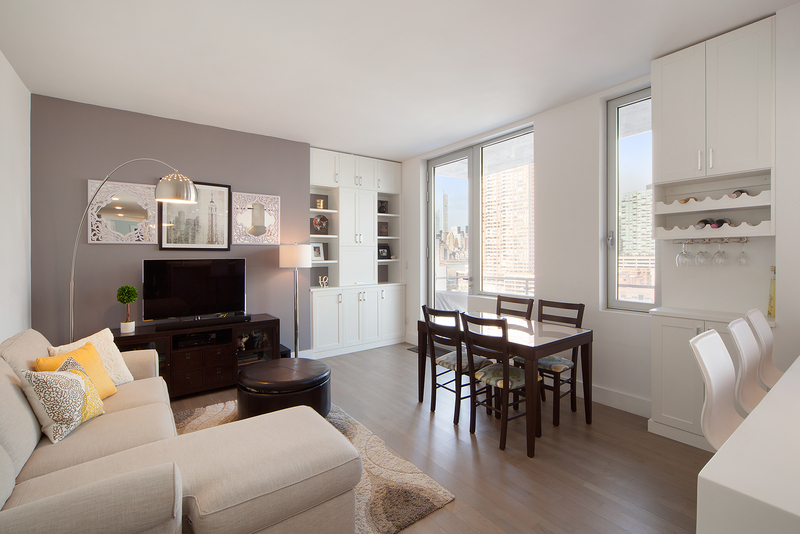 An open living room leads onto your private 145-square-foot terrace. The kitchen features Liebherr and Smeg appliances, custom white pine Italian cabinetry and Corian countertops. Every room is generous in size and has sweeping views. The master bathroom is a true oasis with a custom teak vanity, Darius Designs fixtures and a deep soaking tub. Additional features include custom built-in closets, central air, a Bosch washer/dryer and pearl oak wood flooring.